Fun, fun, and very original, this monkey suit, orange and white gorilla, will charm all your viewers. With astonishment and her eyes, everyone will turn in your way. Perfect for all your entertainment. Comfortable, this monkey suit can be machine washed. Choose your size and accessories for even more fun! 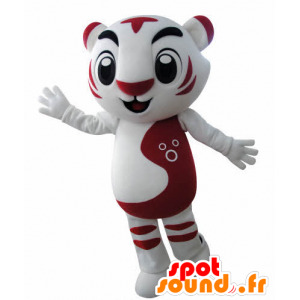 This lovely mascot red and white tiger with black eyes bewitch all your relatives. 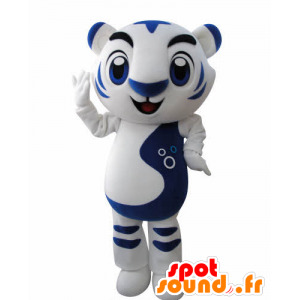 Adorable, this colorful tiger costume will delight many children. Ask us to add your slogan or logo or add him props for even more fun! Pleasure guaranteed! Shipping free, quick and neat. Accessories for sale here! Mascot white and blue tiger, giant. For a school, a sports team, for publicity and to let you know, this feline costume will be perfect. Animation guarantee! Adapt it to your needs, to exactly suit your needs. shipping costs are free! optimal comfort and perfect finish for even more fun! 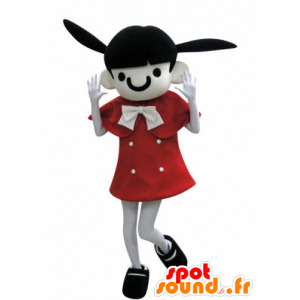 Spotsound offers here this funny brunette girl mascot, dressed with donkey ears. 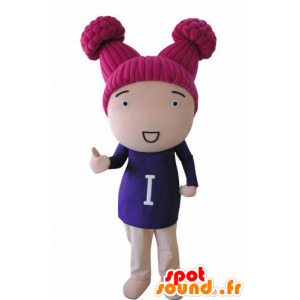 This girl costume, schoolgirl, you will animate colorful events, or participate in business or festive events. This costume is fully customizable to suit your needs! Comfortable and light! Beautiful white snowman mascot, green and yellow, very cute and funny, which will unanimously at marketing or festive events. With her beautiful smile and friendly air, this costume will be ideally suited for events of all kinds. Ideal for children. Personalize it with text, a dress and accessories of all kinds. Superb mascot white and brown cat with a cute and warm head. Colorful, and with a perfect finish, it will be used for tastings, business, events, parties or events of any kind. Customizable at will, you can customize it according to your needs. This costume is comfortable to wear. Free delivery so do not wait! 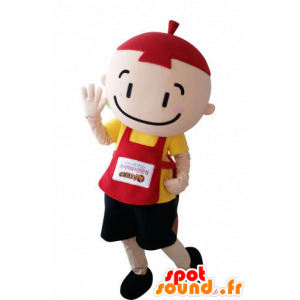 Boy mascot dressed in yellow and black with an apron and a red cap. For a tasting, a school, a show for the year-end holidays, or to let you know, this child's costume will be perfect. Animation guarantee! Adapt it to your needs, to exactly suit your needs. shipping costs are free! Whether for a hairdresser, a supermarket, a drugstore or a shampoo brand mascot white bottle of lotion giant will not go unnoticed. For interaction with the public and to let you know, this giant costume will be perfect. Personalize it with your text, logo or accessories. 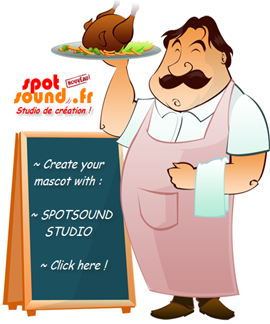 Wide choice of mascots on our site Spotcound! Original and elegant, this boy mascot, student, engineer, with glasses and a suit and tie, will the atmosphere wherever you go. For a university, school, theme parties, performances, for business events or celebrations of any kind, this costume is perfect. Personalize it as you wish. 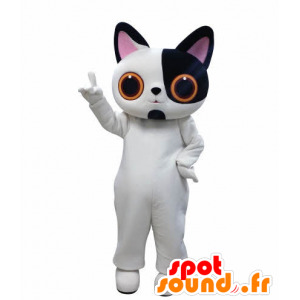 With this beautiful white cat mascot and black with big orange eyes, you can go to animate your events. Customizable at will, with a holding text or accessories of all kinds, have fun according to your moods! 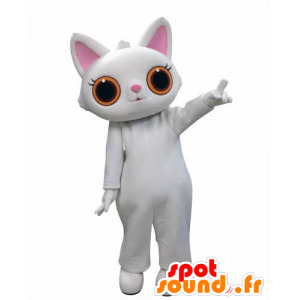 With this cat costume, cute and endearing, you will inevitably make sense! Quick and neat delivery ! We propose here a mascot pink and white cat with big orange eyes. 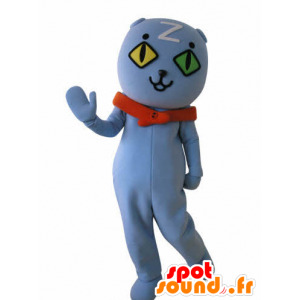 Cute and funny, with a benevolent air, this cat mascot will delight all your viewers! Perfect for shows, parades and commercial entertainment. Very friendly, this wonderful female mascot mark the spirits fail! 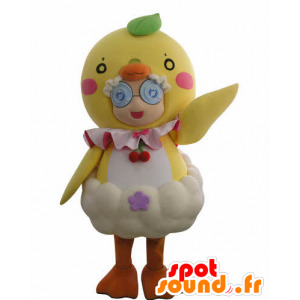 Funny and original, this friendly mascot girl with glasses, dressed in big yellow chick, will be perfect for all kinds of events. Concerned about your satisfaction, we will adapt to your needs when ordering. Choose your size, add a logo, a slogan or accessories. The possibilities are endless, so do not wait! 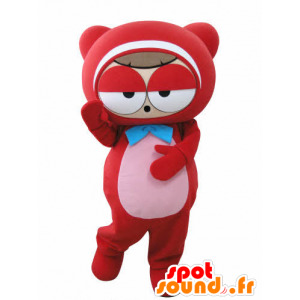 Funny and cute, this mascot big red man, Teddy, will be ideal for representing an activity, enterprise or to animate marketing actions .... His tired, his big eyes and his big head will put everyone in good mood! Fun and original, this costume will delight children and parents. Customizable at will! 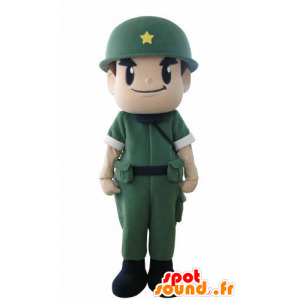 Beautiful military mascot, uniform green soldier with a helmet. 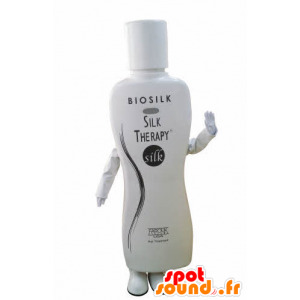 Friendly and very successful, this costume will delight everyone. Ideal for a military barracks, to represent the army or its actions or for performances, you can customize it at will! comfortable fabric and high-end machine washable. Quick and neat delivery ! 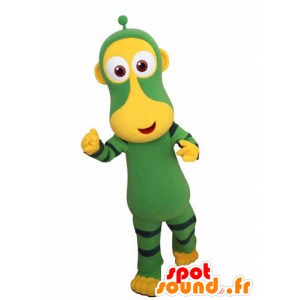 green and yellow monkey mascot. 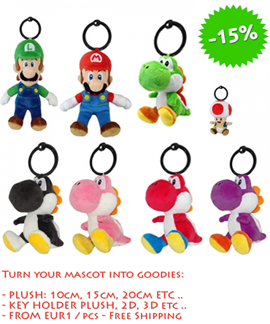 Funny, cute and colorful, it will allow you to lead marketing campaigns for your products or your supermarket. Ideal also in a circus or for shows on the jungle theme. Cute and friendly, this futuristic monkey mascot is for you! Available in different sizes for a perfect fit to your body! 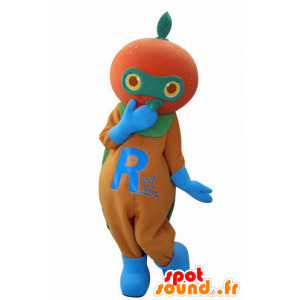 Funny, colorful and original, this cute orange mascot, giant tangerine, appetite will all your loved ones or your audience. This large round head seduce for sure! Accommodate this pretty orange garb of a banner, text, accessories ... Comfortable and designed with quality materials, you will not be disappointed. Free shipping and neat. 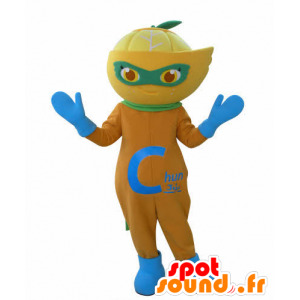 Whether primeur maraicher in fruits and vegetables, farmer, fruit juice producer or owner of a supermarket, this beautiful orange mascot is perfect. This beautiful costume is ideal for tastings, but also theme nights. Personalize it with your logo, your text, your brand or slogan! Free shipping and neat. 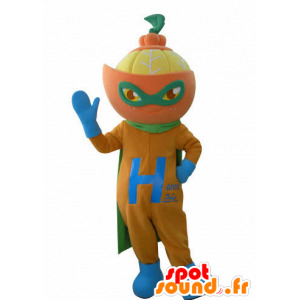 Whether primeur maraicher in fruits and vegetables, farmer, or fruit juice producer, this beautiful orange mascot, Clementine, with his superhero outfit and his green cloak is perfect. This expressive and fun costume is also perfect for an evening in color. Personalize it with your logo or slogan! 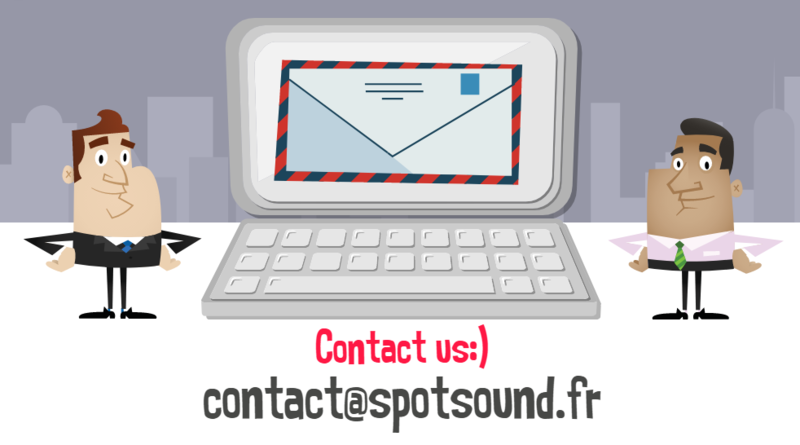 Spotsound presents this cute and endearing white dog mascot, soft and hairy. 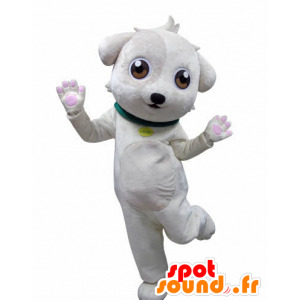 Giant, beautiful and funny, this dog costume make an impression, with young and old. With her beautiful hair, you will not go unnoticed! perfect dog mascot to promote your products to a kennel, or a SPA. 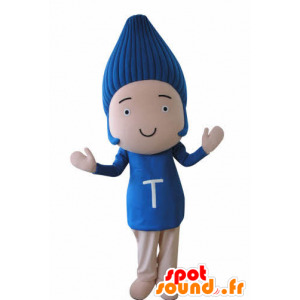 Fun and entertaining, this sultan mascot, Oriental man, Tuareg, will delight children and parents. Dressed in a white dress with a turban on his head he's ready to host all performances, promotions and evenings you will. 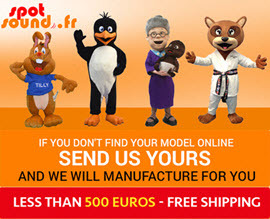 Individual or a professional, this mascot is for you! Adapt it to your image with accessories or text! Superb snowman mascot dressed in blue with a watermelon on his head. Colorful, original and perfectly finished, it will be used for all kinds of businesses, events, parties or marketing events. Customizable at will, you can customize it according to your current needs. This watermelon costume is light and comfortable to wear. 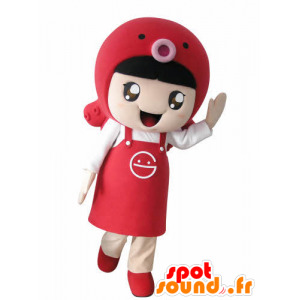 With this mascot, original and sympathetic of smiling girl, wearing an apron with a fish on the head, you can animate your aquarium, your zoo, your water park. Also perfect for a fish, for shows or performances. With this original and funny girl costume, you will not go unnoticed! 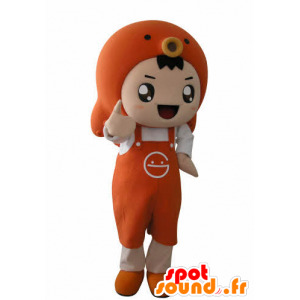 With this mascot, atypical and smiling boy dressed in an orange apron, with a fish on the head, you can animate your aquarium, your zoo, your water park. Also perfect for a fish, for shows or performances. With this original and funny costume Boy, Fishmonger, you will not go unnoticed! 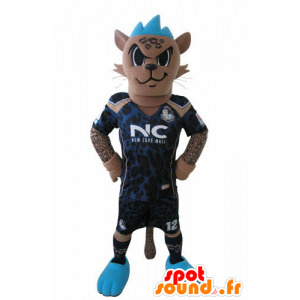 Mascot funny beige with a blue tiger crest, dressed in football, ideal to host events in shops or with children. With several sizes to find one that will fit perfectly to your body, this beautiful tiger mascot, very comfortable, is fully customizable. quality suit, machine washable. 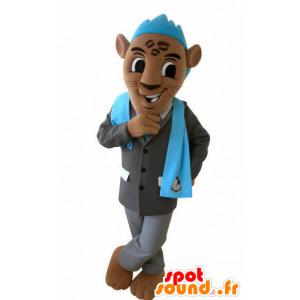 brown tiger mascot with a gray suit, a crest and a blue scarf. 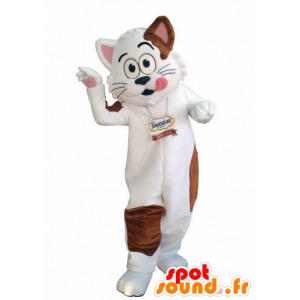 Fun and friendly, this costume will be perfect for sporting events, for entertainment, sports team, marketing promotions. With a pretty classy outfit and smiling air, you will unanimously with your audience and will delight all your guests, both children and parents. 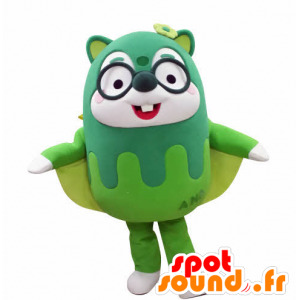 Squirrel mascot flying green and white with glasses and a flower on the head. 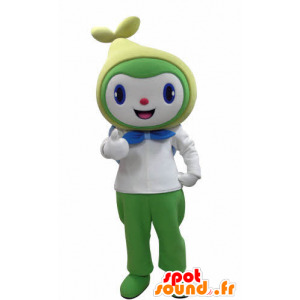 Funny and very original, this costume will be perfect for sporting events, for entertainment, sports team, marketing promotions. 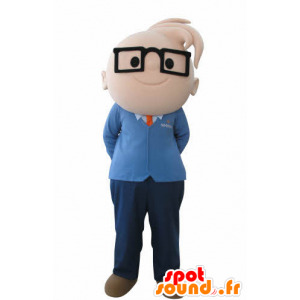 With its pretty funny head, you will unanimously with your audience and will delight all your guests, both children and parents. Soft and comfortable! For an IT company in new technologies for futuristic evening or business events, this suit of blue and white flying squirrel will be ideal. This costume is adaptable at will. With it, you can best represent your company or your personality! comfortable fabric, quality, machine washable. Quick and neat delivery ! 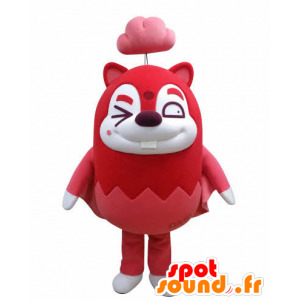 Mascot of red and white flying squirrel, making a wink with a red cloud over his head. 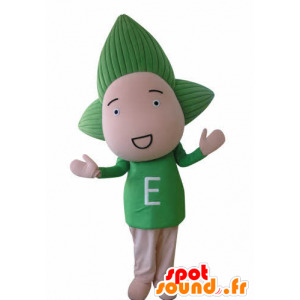 Funny and very original, this costume will be perfect for most events, for entertainment, sports team, marketing promotions. 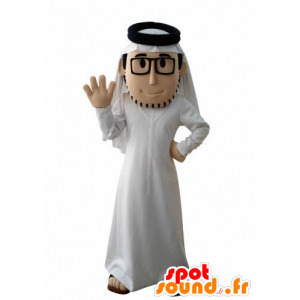 With its pretty funny head, you will unanimously with your audience and will delight all your guests, both children and parents. 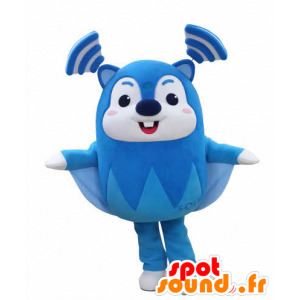 Colorful and funny, this friendly blue teddy mascot cat with yellow and green colored eyes with a red collar, will do for all kinds of events. Concerned about your satisfaction, we will adapt to your needs when ordering. Choose your size, add a logo, text or accessories. The possibilities are endless, so do not wait! 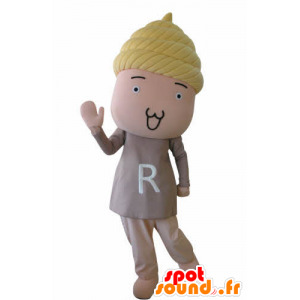 Lovely baby mascot, smiling man with yellow hair. 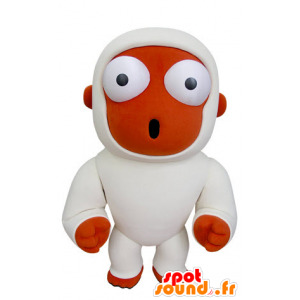 Very nice, this jovial mascot funny and surprise everyone! Perfect for a kids birthday, shows, trade shows, you can customize this disguise as you want! Costume comfortable and good quality, machine washable. 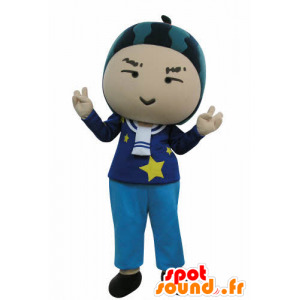 With its blue and beige dress and blue hair, that beautiful smile snowman mascot to entertain baby much your viewers. In a park, a circus, marketing events, or for meeting friends you will not be disappointed. Her outfit is customizable with your text or logo, and can be decorated with accessories of all kinds! Lovely doll mascot doll dressed in green with green hair. Very nice, this original mascot funny and surprise everyone! Perfect for a kids birthday, shows, trade shows, you can customize this disguise as you want! Costume comfortable and good quality, machine washable. 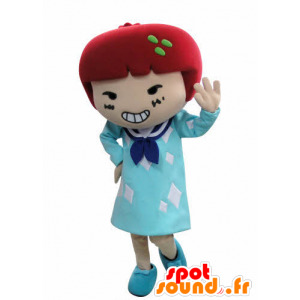 With its blue and beige dress and pink hair, this beautiful doll mascot, smiling man, entertain much your viewers. In a park, a circus, marketing events, or for meeting friends you will not be disappointed. Her outfit is customizable with your text or logo, and can be decorated with accessories of all kinds! 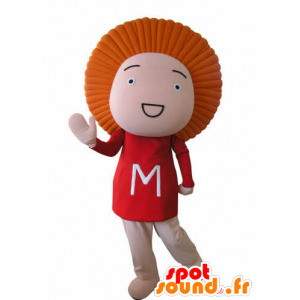 Jolie mascot doll, smiling man with orange hair. 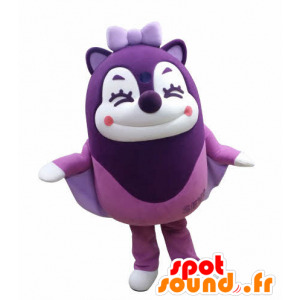 Very nice, this jovial mascot funny and surprise everyone! Perfect for a kids birthday, shows, trade shows, you can customize this disguise as you want! Costume comfortable and good quality, machine washable.